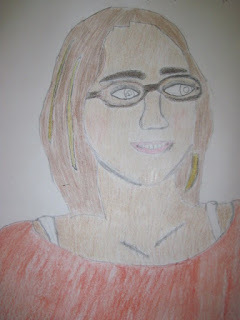 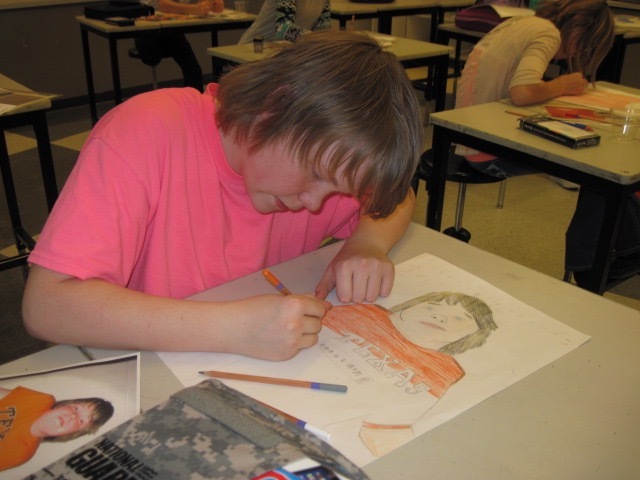 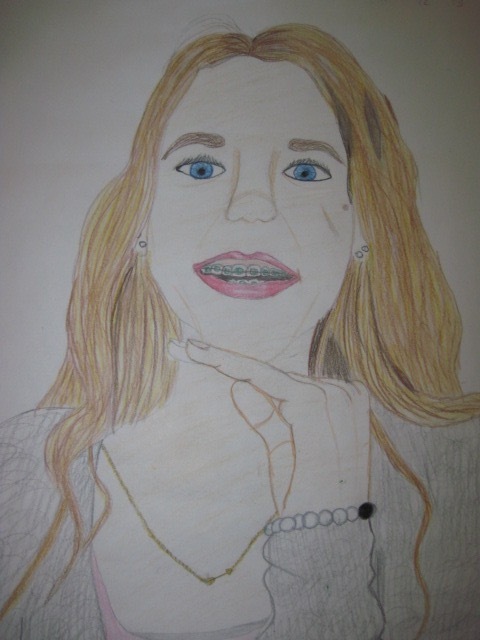 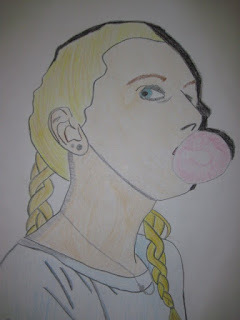 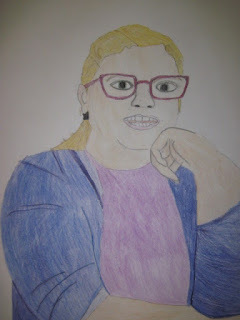 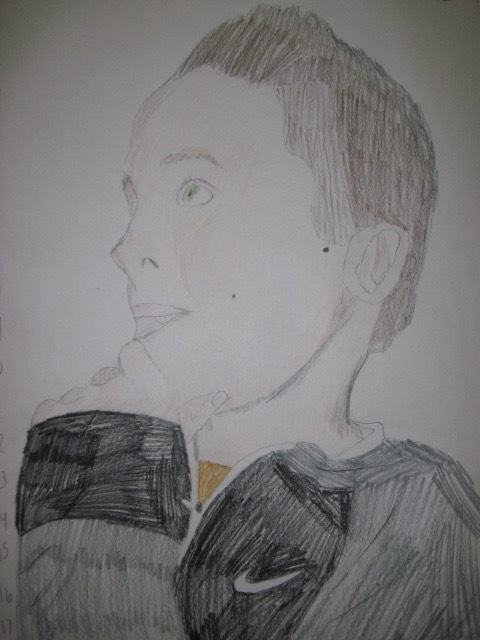 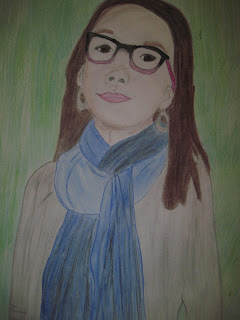 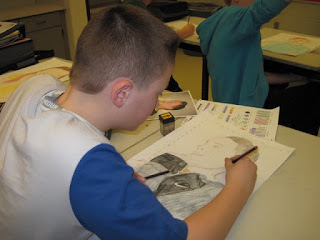 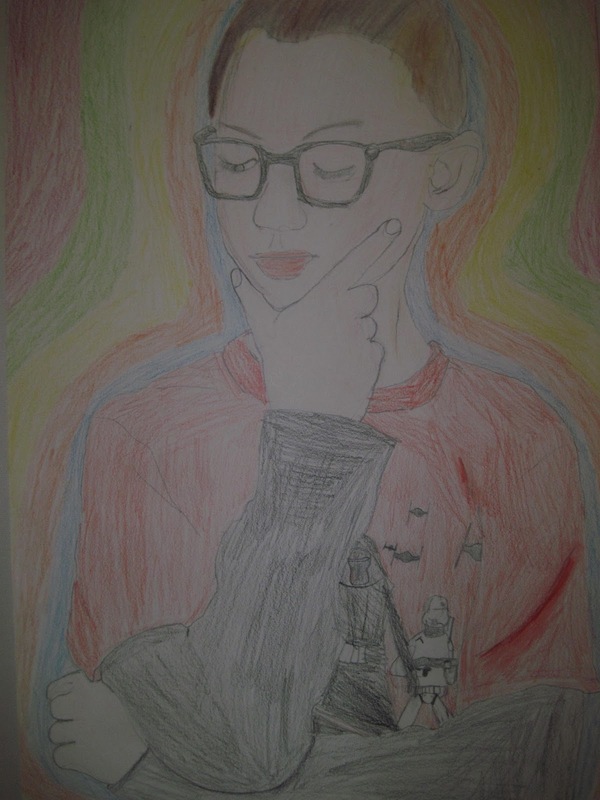 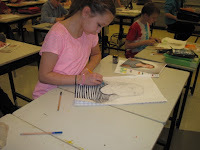 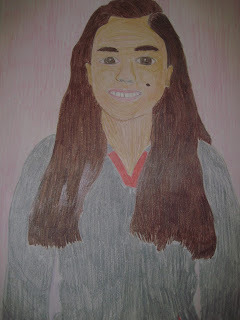 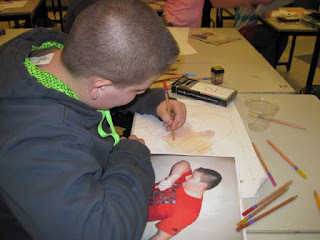 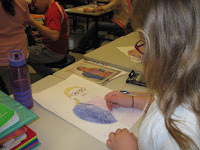 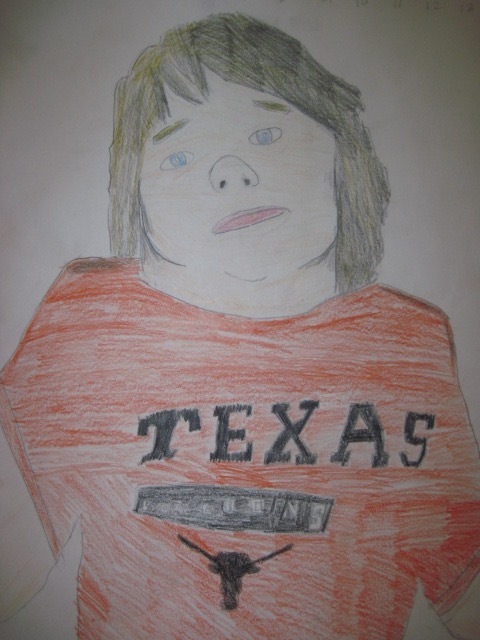 The last project of Trimester 2 for 6th grade classes was to use the art skills learned up to this point to draw a self-portrait. 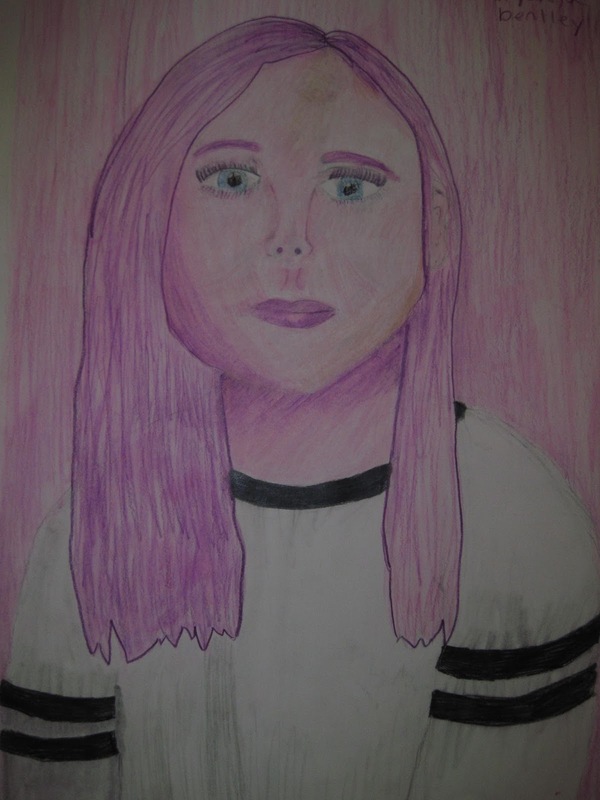 Using a photograph, students worked hard to get their lines and forms to accurately draw themselves, and used color and value to add dimension. 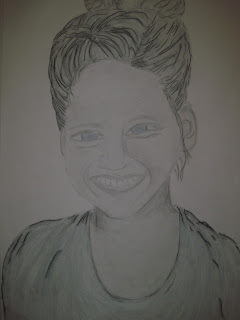 Now check these final pieces out... Can you guess who?